Congratulations on your 12th anniversary with your partner, Guilie! I am honored by your presence here today! Wishing you many more! Here’s the coffee – over to you! A very special love story began exactly twelve years ago today. And I can’t think of a more fitting place to mark this anniversary than Vidya’s thoughtful, mindful blog, always in celebration of life and what gives it meaning. Thank you, Vidya, for having me. It’s an honor and a pleasure to share this story with you and your readers. You see, this love story shaped my life. On the evening of October 30th, 2003, I took two clients to La Belle Terrace, Curaçao’s nicest restaurant at the time. I was starting my fifth month on the island, but I barely knew my way around: I worked long days and, what little free time I couldn’t avoid, I spent by the condo pool pretending to get over the non-relationship that had propelled me from my life in Cancun and into this six-month stint at a place I’d never even heard about. But even this indifferent drifter knew La Belle Terrace’s reputation, and I was looking forward to dinner. In passing, I’d mentioned this to a new friend, a man I’d met through a co-worker’s boyfriend a couple of weeks earlier. He and some friends would be right next door, he said, at the Blues jazz bar. If we felt like it, maybe we could join them afterwards? This was a nice man. Nicer than I’d known in a long time, maybe ever. But I was being careful. Of my bruised heart, sure, but also, because he was nice and kind—and because my co-worker had warned me, He’s the kind to fall in love—of his potentially unbruised and thus more vulnerable one. Service in the Caribbean tends to be, uhm, unhurried, and by the time we paid the check, the jazz band at Blues had packed up and gone. Ah, well, I thought. Probably better this way. He was waiting outside the restaurant for us. For me. He’d made his friends wait, too, on the off-chance that I might still want to hang out. Later that night, at the edge of a soca concert on the beach, I kissed him. Spur-of-the-moment thing—or maybe not. At some point between the restaurant and the beach, I think I understood something: I was running, and I’d been running for years. Not away, necessarily; more like in place. So steeped in ambition and achievement and expectations that I’d forgotten to be alive. And here, in this tiny rock in the ocean, I’d finally remembered. It was a bad idea, kissing him. I was leaving in December, back to Cancun and my other, real, life. Except I didn’t. And, although it took me a whole month more to admit it, I think, deep down, I made the decision to stay—to give life a chance—that day on the beach. Was it because of this man? Yes. Absolutely. But here’s the thing: I believe it wouldn’t happened if we had met somewhere else. Places change people. Not every place affects everyone the same way (that would be so cool, wouldn’t it? come to Curaçao, or New York, or Goa, and—voilá, instant bliss), but every place does affect everyone, in some way, big or small. By that October night in 2003, the island had been working its magic on me, like an exfoliant of the soul, for months. Without it, I’d most likely have let this wonderful man go—and wouldn’t even have known what I was losing. No real surprise, then, that this influence of ‘place’ is the main theme of my novel-in-stories, THE MIRACLE OF SMALL THINGS. (Set in Curaçao. Of course.) And the book is dedicated to the man I kissed that night on the beach. His name is Cor, and today we celebrate twelve years together. Now you know what that parenthesis, the Yes, literally, means. If you could live anywhere in the world, where would it be? How do you think you might be different if you lived there? Do you believe where you live now has changed or shaped you? In what ways? Mexican tax lawyer Luis Villalobos is lured to the tiny island of Curaçao anticipating a fast track to the cusp of an already stellar career. But the paradise we expect is so rarely the paradise we find. Guilie Castillo Oriard is a Mexican writer and dog rescuer living in Curaçao. She transferred to Curaçao “for six months”—and, twelve years later, has yet to find a reason to leave. She misses Mexican food and Mexican amabilidad, but the laissez-faire attitude (and the beaches) are fair exchange. And the island’s diversity provides great fodder for her obsession with culture clashes. Her work has appeared online and, in print, as part of several anthologies, such as Pure Slush’s 2014 A Year In Stories and gorge. Her first book, The Miracle of Small Things (Truth Serum Press) was published in August 2015. She’s currently working on a full-length novel. She blogs about life and writing at http://guilie-castillo-oriard.blogspot.com and about life and dogs at http://lifeindogs.blogspot.com/. She is on Facebook and Twitter. To celebrate the release of MIRACLE in e-book formats (Kindle, epub, iBook, and Kobo formats, Nook to follow shortly), THE MIRACLE OF SMALL THINGS is going on virtual tour. Several blogs will be hosting Guilie throughout November to talk about writing, about the book, its island setting and its characters — including a 100-lb. monster dog rescued from the streets — and some of the issues MIRACLE touches on, such as the role of large and small things in the realignment of our values, and the power of place in our definition of self. That photo of Guilie and Cor says it all! 🙂 Hugs, Michelle! You know our Guilie’s book will be fantastic! Thank you for coming by, dear friend! 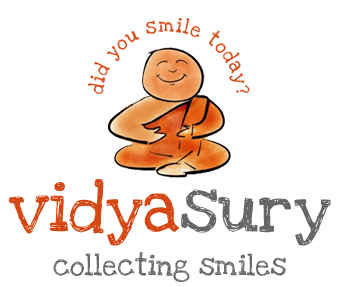 Vidya, thank you so much for hosting me! It’s always a pleasure, and an honor, to be featured at your blog, but today—and with this story—it’s beyond special. And a perfectly fitting way to celebrate, not just the book but this personal milestone. Hugs, and gratitude in buckets! Guilie, the pleasure is entirely mine! You know there are some people in our lives we just love – to me you’re one of those people in my life. You’ve no idea how touched I was that you chose to share your lovely story here! Grateful! Thanks Vidya for hosting Guilie! How lovely that you two beautiful souls are interacting! I loved this post and the photographs and Henry Miller’s quote! Hope all is well with you and family and that your son’s exams have been successful. So happy to see you, Susan! I love Guilie’s writing and I am honored she is here today!. Thank you for your kindness asking about my son – he’s now away at college in a different city (boo-hoo sniff, sniff!) and seems to be adjusting well, bless him. Hugs and love to you! I think of you, you know! Your story is lovely and I want to read your book now, for sure. I most want to live anywhere along the sea, and regret that I’ve let life’s current drift me along yet keep me in place somehow. At least I can be grateful my dull suburb is a friendly place. Awesome photos, by the way, and I adore that you rescue animals. Thank you for sharing your story as well as your gift of writing. Best wishes! Guilie is so wonderful – and so is her book. I hope you read it. I know you’ll love it! I’m thrilled to hear that, Darla! I’d love to know what you think of the story once you’ve read it. (There’s a good bit about dog rescue in it… Couldn’t help myself 😉 ) I hear you about the drifting “in place”… I think most (if not all) of us are a victim of that in some way. But hey, friendly is high on the desirable scale in this day and age. As a fan of the seaside, though, I do hope you get to live on the shore one day. So, so glad you visited. Thank you! Awesome photo, with the Taj Mahal as a backdrop, no less. Curacao must be a magical place as it opened your heart to accept true love, Guilie. 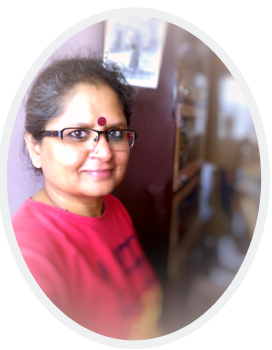 Such a wonderful story Vidya…Thanks for bringing this to us…I always get something positive after reading posts on your blog Vidya and today is no different! 🙂 Naba, you always make me feel very “mission accomplished” – and today is no different! Hugs – I am happy you came by today, especially. I am enjoying having Guilie here! I’m so glad you liked the story, Nabanita! I agree with you… Vidya’s blog is an unfailing source of feel-good — I’m honored to be a part of that today 🙂 Thanks for the visit, and for the congratulations. Happy weekend for you! 🙂 You know, Birgit, my Grandma always loved to say that we are usually where we are meant to be, by choice or by default. I admire you for embracing living where you are – you must bring so much joy to the lives of the people you touch, both at work and in your circle of family and friends. I’ve had dream places that I’ve had the opportunity to visit, and for the moment, that is good enough. As you said, who knows! For now, all is good. Hugs, Birgit. Thank you for coming here today. I appreciate you deeply.